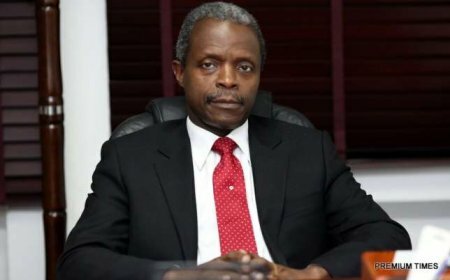 Two new members appointed by Acting President, Yemi Osinbajo, to be part of the Independent Corrupt Practices and Other Related Offences Commission board have been dropped. Those dropped are the ones said to be undergoing investigations by the same commission. The Senior Special Assistant to the Acting President on Media and Publicity, Mr. Laolu Akande, made the disclosure on Twitter. “We are stepping down two of the new ICPC board nominees who have ongoing investigation issues with the commission as this presents a conflict. “While existence of allegations or petitions against someone shouldn’t necessarily disqualify them (six) from considerations for appointments, this case presents a peculiarity as we have confirmed that the agency in which they are to serve is indeed investigating the two of them. I think it was a scope to get them over their corrupt practices.